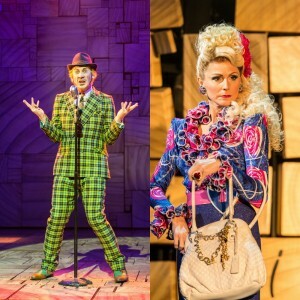 With the summer upon us, the Wormwoods have decided to grace us with their top summer secrets on making the most of the holidays. Head outside in some of your bright summer clothes. And we mean BRIGHT. If you can’t find something to suit your taste then put it together yourself! It would be a waste if no one saw your show-stopping wardrobe. Stroll around your local high-street for all to see, be sure to shout hello to everyone so they have to look at you and notice what fabulous creation you’ve got on. And what is summer without a fabulously extravagant summer holiday to escape rainy England? Whichever sunny location you choose for your summer holiday, be sure to stuff your suitcases with your best clothes (which means every outfit you own, we hope!) and head to the airport, take 5 suitcases each at an absolute minimum! Spend lots of time relaxing by the pool and soaking up the sun. Be sure to bring your music and blast it LOUD for everyone to enjoy. Don’t forget your tanning lotion – we don’t want all those lovely hours in the sun to go to waste. Now’s your chance to get that perfect tan! Once you’re back in England, there’s no better way to announce your return than by throwing a summer party. And not just any, boring one, no no, the BEST and BIGGEST summer party the world has ever seen. And there definitely isn’t anything like an elaborate fruity cocktail with a slice of pineapple, a cherry, an umbrella and a HUGE sparkler to help cool down at the end of the day.